Welcome to the RenoCompare home office remodeling section. 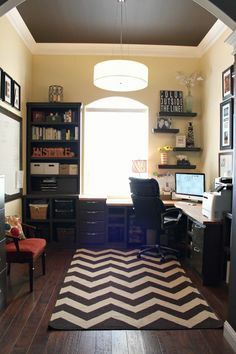 This is where we’ve collected all the cool home office ideas and inspirational projects for organizing and decorating home office spaces. 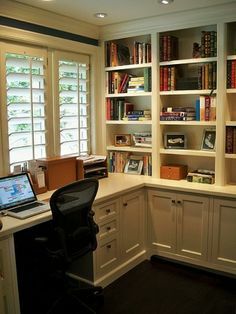 Scroll down the page to get an overview of the different aspects of home office design that you need to consider, and to see interesting home office pictures of both DIY and professional home office installation projects. There are lots of easy ways to transform a spare room, like a bedroom, into an office space and most can be completed on your own; but if you are planning on running a business from home you might want to get the expertise of a designer or contractor to ensure you create the best working environment. With increasing numbers of people working from home, your home office should be an area that is not only functional, but provides comfort as well. If you are used to working in a cubical you know how boring and depressing that can be: an uncomfortable chair, bad lighting and blank walls for a view! 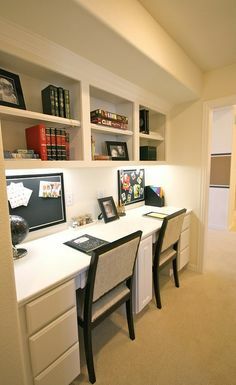 But you can change all of that by creating a home office that not only has a view, but also has upscale lighting, comfortable surroundings and a place for everything. 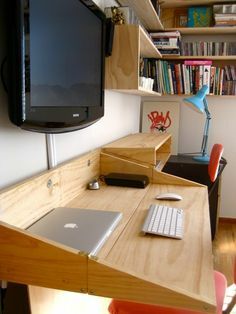 If your home office design is workable and efficient, going to the office will have a whole new meaning! As with any room in your home, an office that has a clearly defined interior design aesthetic will make for a much more pleasant environment to work in, so you’ll need to make sure that everything you put into the space serves the home office design you have in mind. 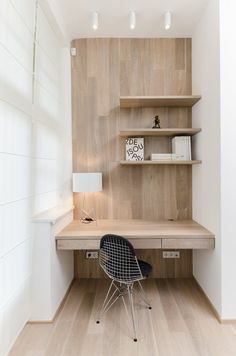 Of course the main item of any home office furnishing is the desk! 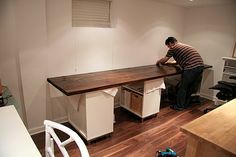 There are some wonderful options for sale to suit every style and we’ve seen some very clever DIY ideas for creating your own office desk or table on a small budget. Along with the table, you’ll need a great office chair – be sure to choose one that offers the right kind of lumbar support, especially if you work on computers all day! After the desk and chair, the rest of your office should have adequate, quality storage. For a streamlined look you can opt for built in shelving, bookcases and cupboards, whilst freestanding bookcases and cabinets can create a more relaxed office look. Don’t forget that it’s often best to plan for more storage than you’ll think you’ll need, and that just about any storage item can be useful. I recently saw a neat home office idea where they stacked up old wooden crates to create a rustic bookcase! When you have these basic requirements decided upon, then you can look to personalize your home office with pictures, ornaments and knick-knacks that will make it the comfortable space that you enjoy being in. The addition of armchairs, area rugs, potted plants, art prints or photos on the walls and even a mirror might be worked into your home office design depending on your tastes and needs. 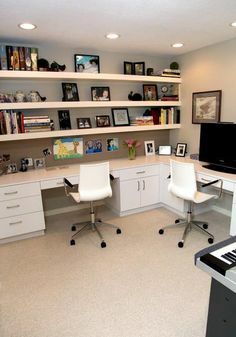 Whatever idea you have for you home office design, making the right choice for decorating the walls will enhance it and bring the look together. 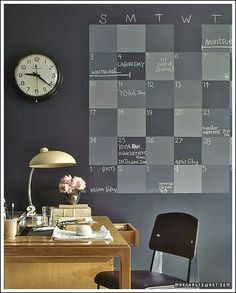 To a certain extent the colors you choose for your walls will be a personal choice – you might want a calm working environment and opt for neutral or pastel colors, you might need a vibrant orange or yellow to boost energy and optimism, or opt for a trustworthy and professional blue scheme if you intend to receive clients or colleagues in your home office. 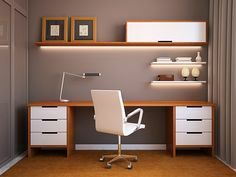 Interior paint, wallpaper, wood paneling and moldings are all options for home office walls. 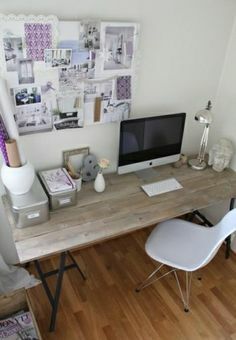 Be sure to gather lots of inspirational home office ideas to help clarify the look you want, and then take the time to test out colors and see how they work in different light conditions throughout the day: bright white might be great for bouncing light around in the evening, but may also create too much glare when the light is at its brightest in the early afternoon. What flooring you choose for your home office design will depend on a few factors, but the most important factor is this: whether or not you are going to have an office chair with caster wheels?! Because if you are, and if you also want carpet in your work space, you’ll need a carpet that won’t be easily ruined by wheel marks! 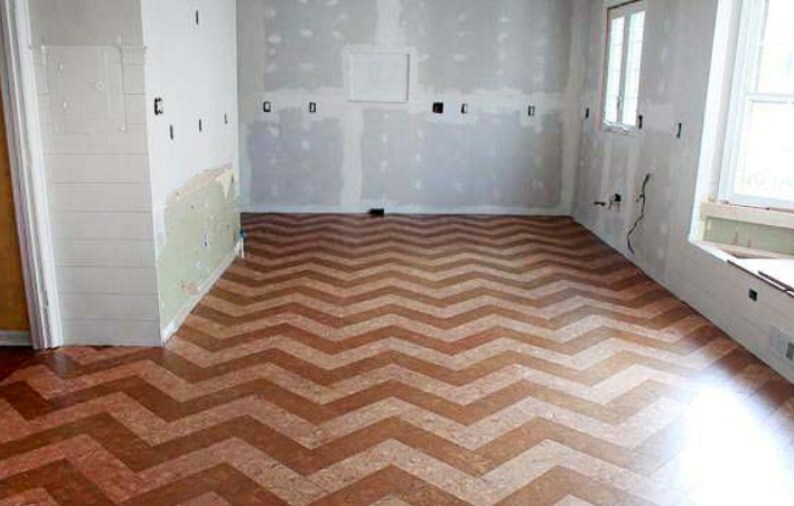 Other types of flooring like hardwood, tile or linoleum are easier to live with when you have a “wheelie chair”, though we once made the mistake of renting an office with white ceramic tiling and the wheels left annoying black marks on the floor (which thankfully were easy to remove). 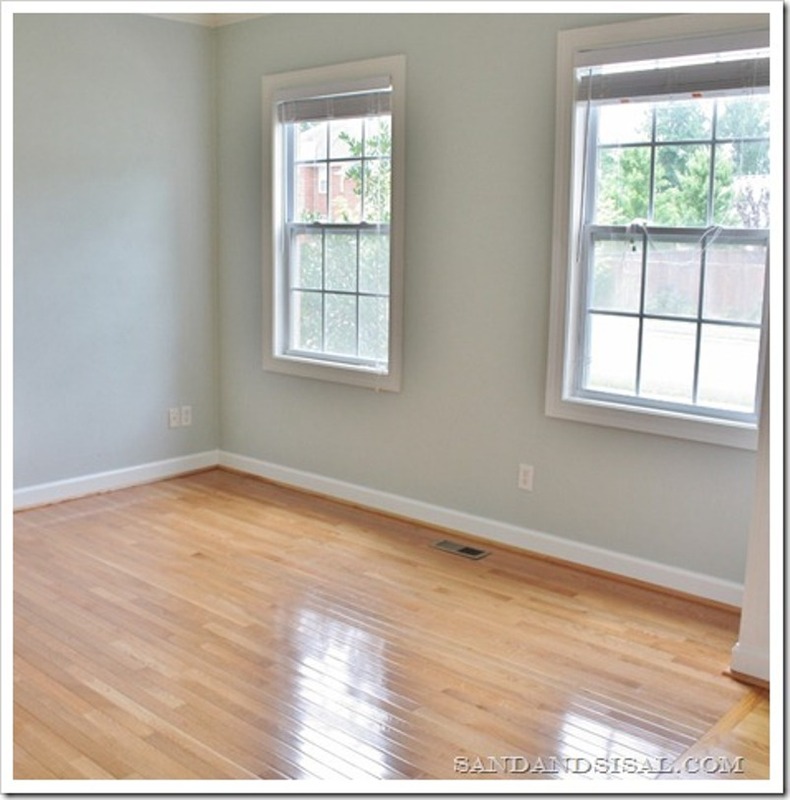 If you’re planning on using your space for crafts or as an art studio, then the best home office flooring idea will be easy to clean or at least OK to get dirty! Lighting is important throughout your home, but in your office it is paramount! 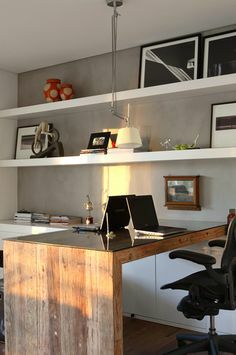 When you’re planning a home office remodel you must consider how well lit your space will be and how it will affect your ability to work well. Choosing from a variety of lighting options in the room – recessed lighting, wall lamps and desk lamps – will allow you to control the light level throughout the day and according to your work needs. If you work on computers all day remember that it’s essential that you do not have harsh interior lighting that will strain your eyes: so absolutely no fluorescent tubes or high intensity bulbs! Also be sure to consider adequate window drapes, shades or blinds to minimize strong sunlight. And ideally position your computer screen or monitor in such a way that windows are to the side, rather than in front or behind. When you count up all the different devices you might have in your home office – computer, printer, phone, cell phone charger, modem, desk lamps, fax machine – you start to realize that you really need a lot of outlets! And don’t forget the spare one for the vacuum cleaner too! 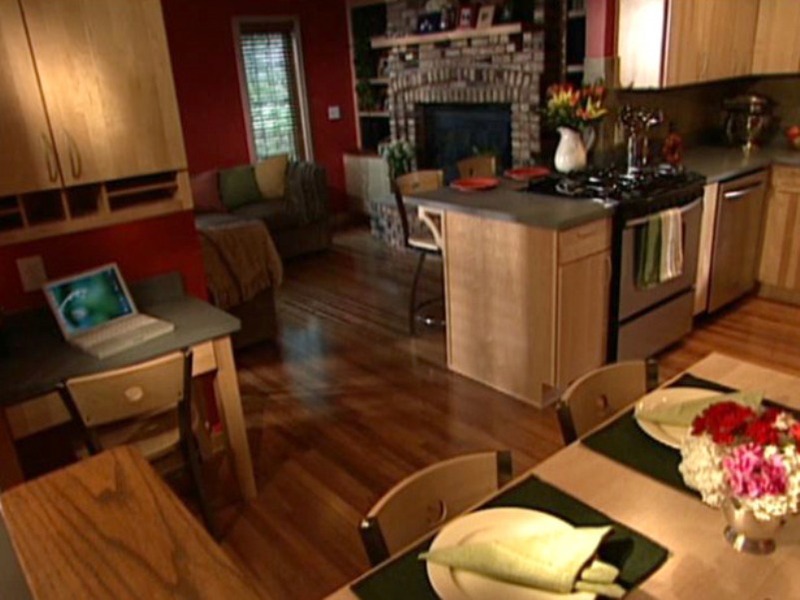 Most modern homes are made with our electronically driven lifestyle in mind; but if you’re remodeling an old home be sure to check that there are enough power outlets in the walls. If there aren’t enough, then you may need to get a qualified electrician to come in and add more outlets and circuit breakers; note that these days you can get specialized outlets for USB chargers too. Most home office ideas that you see online focus on the décor and furniture, but often forget to consider the most vital component of creating a good working environment: ventilation. Being cooped up in an airless room is never going to help you be productive, so any home office remodel should include ways to ensure the space stays well aired. Making sure that the windows can be fully opened is a no-brainer in this situation; but if there is no window in the room that you’re converting into an office, then you might want to look into HVAC systems to maximize ventilation. 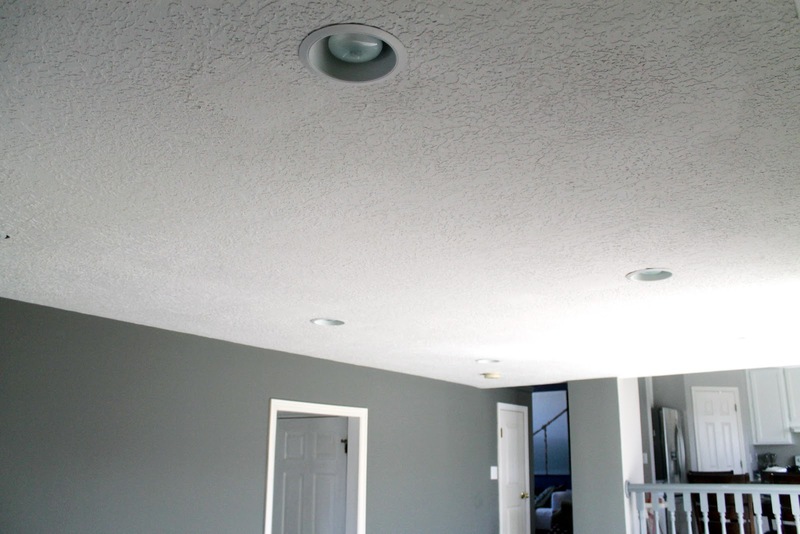 Adding ceiling fans can also help move air around the room, which is particularly useful in warm weather. On the flip side of ventilation, if your home office is too cold it’s going to be a nightmare to concentrate on work! There are of course freestanding space heaters that you can add when it’s particularly chilly, but if you plan to spend a lot of time in your home office and you’re remodeling from scratch then the addition of radiant floor heating is really worth considering – it will keep the room at a consistently ambient temperature whilst you work. So now that you’ve got to grips with the basic components of your home office, scroll down to review pictures of home offices that have been remodeled or built by other homeowners and contractors. Get home office ideas for your own project, or share a completed project of your own!